Would love to know more about those Eastern Europe tapes! The main industrial band I know from the area is Einleitungszeit...I have some of their stuff. I'm a big fan of scrap/junk metal noise and industrial. 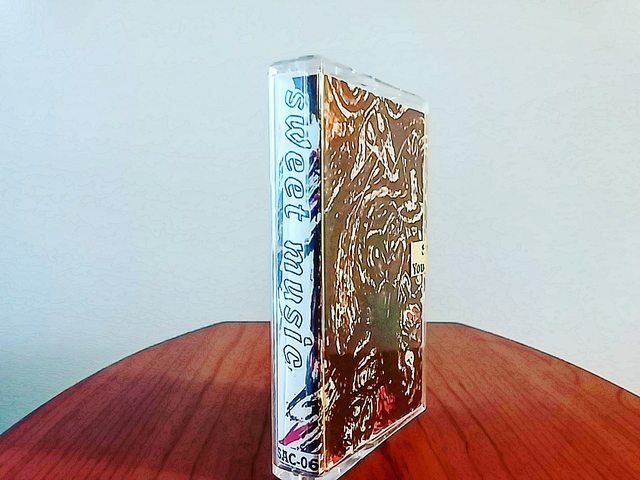 One of the earliest releases from Self Abuse Records (run by one of the members of Skin Crime), this is a cassette compilation of various noise and experimental acts from the early 90s. I wouldn't say this is the very best compilation of this type I've heard, but it's pretty damn good. No real bad tracks and it's a C60, so it doesn't overstay it's welcome. There are a few heavy hitters here but also some lesser known acts. Well worth seeking out if you dig this kind of stuff. ^That's a solid lineup on that tape. Self Abuse has been putting out good stuff for a long time with no signs of slowing down. I just ordered a copy of Skin Crime's "The House On The Cliff" a couple of days ago. Pure harsh noise from Japan. These folks have been at this since 1980. I've been trying to put together a comprehensive discography of guitarist Jojo Hiroshige's work for almost 30 years now. I'll likely still be trying to complete it when I die considering the number of releases from Hijokaidan and his other related projects that are out there, with more being released all the time. Did you see that Skin Crime box that came out awhile back...something like 20 CDs? Wanted that but never could get around to buying it.